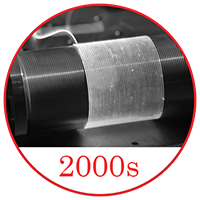 The LIA timeline represents significant events that demonstrate advances in laser technologies. 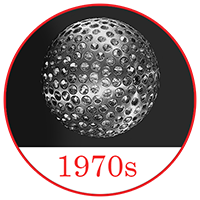 Since the 1960s the laser has come a long way, just like our very own members. 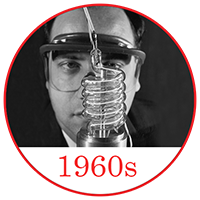 Theodore Maiman demonstrates the laser using a ruby crystal in his laboratory. Arthur Schawlow shares Nobel Prize in Physics for invention of the laser; initiates program of radio and infrared astronomy at University of California, Berkeley. The Laser Institute of America is founded, previously known as the Laser Industry Association. 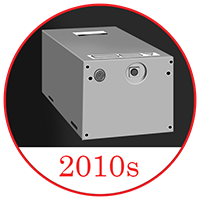 Nikolai Basov, V. A. Danyilychev, and Yu M. Popov create the excimer laser which became popular in lithography machines, and later on used in the medical field. LAGEOS-1 is launched, consisting of 2 satellites, each is a high-density passive laser reflector. 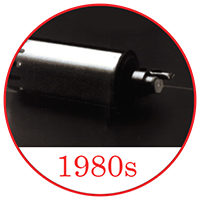 Gordon Gould receives a patent covering a broad range of laser applications. CDs debut. Originally used for video technology, CDs are used for audio. Green-emitting helium-neon lasers are introduced by Melles Griot. North America and Europe are linked by first fiber-optic cable. The Quantum Cascade (QC) laser is invented at Bell Labs by Jerome Faist, Federico Capasso, Deborah L. Sivco, Carlo Sirtori, Albert L. Hutchinson and Alfred Y. Cho. The first pulsed atom laser, which uses matter instead of light, is demonstrated at MIT by Wolfgang Ketterle. 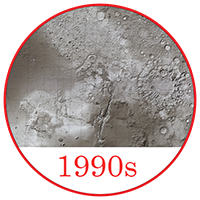 Mars Global Surveyor, carrying the Mars Orbiter Laser Altimeter, reaches Mars and begins mapping the planet's surface with a laser radar. Electronic switching in a Raman laser is demonstrated for the first time by Ozdal Boyraz and Bahram Jalali of UCLA. Laser market valued at nearly $6 billion. NASA launches LRO (Lunar Reconnaissance Orbiter), it uses lasers to gather data about the high and low points on the moon. Short-pulse lasers are announced by Alfred Leitenstorfer and his research group from the University of Konstanz. Rainer Blatt and Piet O. Schmidt, along with their team, demonstrate a single-atom laser. Founding Father Dr. Charles Hard Townes passes away at the age of 99.